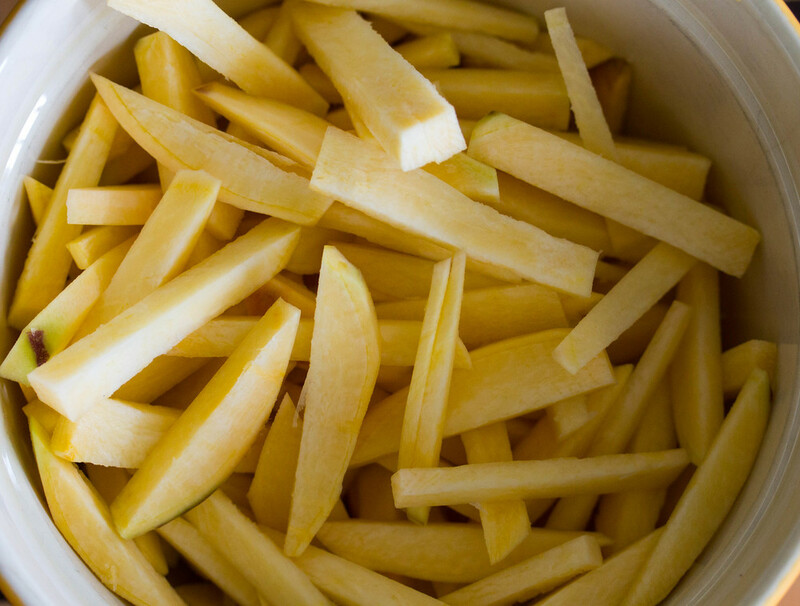 Rutabaga fries are one of my favorite foods to make, they are so delicious! I think rutabagas are the forgotten root veggie and deserve so much more attention. They're a cross between a turnip and a cabbage and are wonderful when made into fries or even cooked and mashed served along side a pan seared steak. They are a little bitter like a turnip but also have a subtle sweetness that really pops when fried. Peel and thinly slice rutabagas into strips. 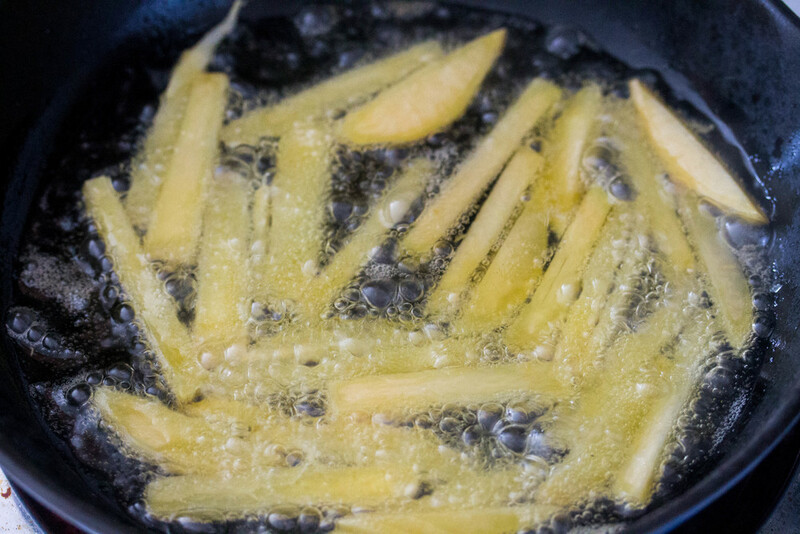 Heat fat in a skillet until hot and carefully add a handful of fries. Fry until golden brown, turning every so often to prevent burning. 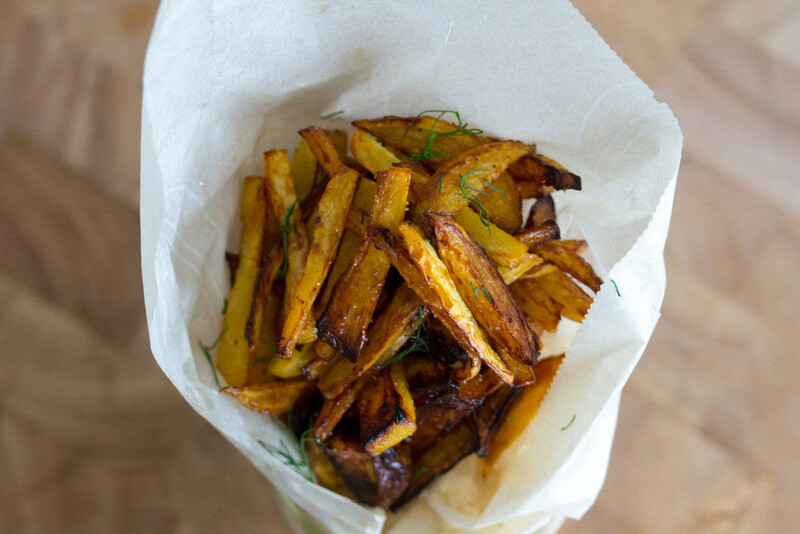 Remove fries from skillet and let rest on parchment paper. Continue adding fries to skillet. When complete, drizzle with excess chicken fat from pan and season with sea salt.